Although a new state law directs school districts to implement mental health curriculum's, some local districts involved with the Western New York Family Support Center Coalition have been addressing student mental health needs for years. WBFO's senior reporter Eileen Buckley says mental health is the primary focus of this coalition. WBFO's senior reporter Eileen Buckley says mental health is the primary focus of this coalition. A recent meeting of the Western New York Family Support Center Coalition at Sweet Home School District. "The biggest thing we see is the lack of coping skills - the kids aren't as prepared as they should be to deal with the day to day stressors of their lives,” said Anne Nowak, coordinator of the Sweet Home Family Support Center. 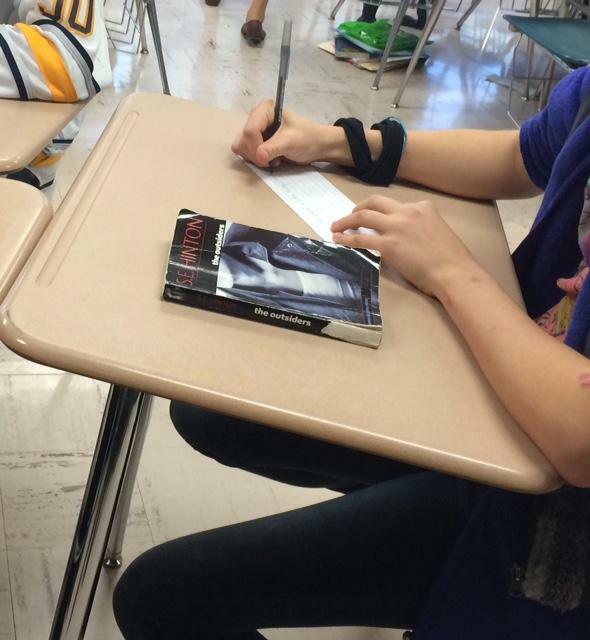 When a student is suffering from trauma or family crisis it makes it difficult for them to go to school and to learn. The Sweet Home Family Support Center established 25-years ago in the Sweet Home Central School District. In 1993 it was a 'first of its kind' program in the state, serving as a model for other school districts to set up similar programs. “Trauma has been redefined - I think it always has been there. I think kids have always experienced levels of crisis. I think now we have a name for it that has become very popular. We see depression, anxiety, family stressors, poverty - that really impact kids’ ability to be successful in school,” remarked Nowak. The Sweet Home District has school counselors in all their buildings. Nowak helps support students and families and, if needed, will link them with proper mental health services. “We have partnerships with several different agencies that provide on-site clinical services, so that their families don't have to take their child an office they can actually be seen during the school day to get mental health counseling,” Nowak explained. The Lancaster Central School District is now in its 19th year of providing a family support center. “Our family support center is a continuum of our social work, psychology counseling services that we provide,” said Anne Monin, coordinator of Lancaster Family Support Center. Monin is also witnessing a lack of coping skills among students. “And parents forgetting that, you know, forgetting that - that's part of being a parent is helping the kids learn how to work toward difficult situations versus solving that problem for their child,” Monin noted. Convincing families that they need the services remains a struggle, but now all health insurance policies cover the services provided. “It’s costly and a lot of health insurance policies - now with families – they have those high deductibles and they just don’t have the expendable funds to be able to go and receive those services,” Monin stated. Not all districts have had long-standing support centers. The Clarence Central School District, which serves more than 5,000 students, just opened the Clarence Family Support Center about four weeks ago. Kevin Modlmayer is the coordinator. “We have to overcome that pride in recognizing that sometimes we need help with our own families, our own children. Sometimes our kids our struggling and it’s not a question of having done anything wrong as parents, it’s a matter of the situation our kids are facing today,” declared Modlmayer. The Clarence School District has a very diverse student population with wealth and poverty. “And that income disparity has been an issue for some of our students. I‘ve heard that directly from the kids. A lot of kids who’ve talked with me and talked with teachers and their counselors about family members who have had a history of substance abuse, have family members who have overdosed, friends who overdosed. The number one thing that our youth court in Clarence deals with is kids’ substance abuse, vaping, e-cigarettes and we’re obviously concerned on where that might go,” Modlmayer said. Each school district is facing its own challenges. In the Akron School District there is no family support center. However, they're pushing for the creation. Buscaglia said when it comes to the mental health, they are a head of the game. These school experts noted more and more teenage students are coming forward, reporting concerns of friends who might be considering suicide, leading to intervention and prevention. With the new mandated state law for mental health education in schools across New York State, we learned more about how two school districts implemented a mental health curriculum. 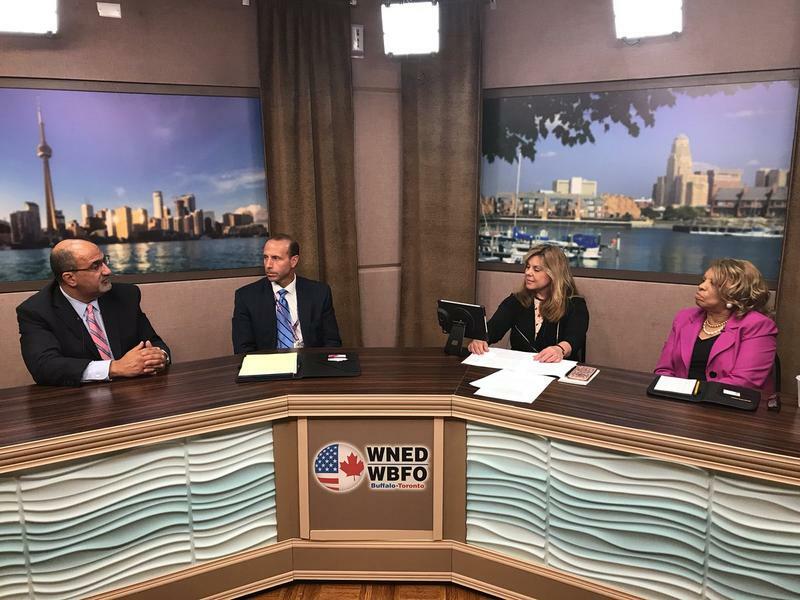 As part of WBFO’s Mental Health Initiative, senior reporter Eileen Buckley leads a conversation with New York State Regent Catherine Fisher Collins, who represents Western New York; Michael Cornell, Superintendent of the Hamburg Central School District; and Mark Laurrie, Superintendent of the Niagara Falls City School District. As part of our Mental Health Initiative, senior reporter Eileen Buckley led a Facebook live conversation on the topic and provides us with the highlights. Teaching children about their mental health is underway in classrooms across New York State. WBFO's senior reporter Eileen Buckley says a new mental health curriculum has been rolled out for the new school year. WBFO's senior reporter Eileen Buckley says a new mental health curriculum has been rolled out for the new school year. A new state law took effect July 1st that now requires mental health education in Kindergarten through 12th grade all across New York. WBFO's senior reporter Eileen Buckley says this is the first law of its kind in the nation and now schools must be ready by September. WBFO's senior reporter Eileen Buckley says this is the first law of its kind in the nation and now schools must be ready by September. The leader of the Mental Health Association of New York State says the recently adopted state budget provides a 'mixed bag' of funding for programs. But as WBFO's senior reporter Eileen Buckley tells us it does provide state dollars to help schools launch mental health curriculums. WBFO's senior reporter Eileen Buckley says the newly adopted state budget provides funds to help schools launch mental health curriculum.